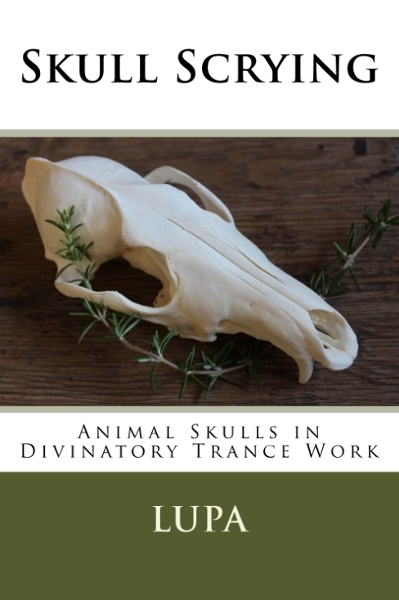 Animal skulls are much more than passive decorations on an altar; they are potential allies in the ancient divinatory art of scrying. Through skull scrying you can draw forth answers to your questions and gain more insight into situations in your life with the help of the spirit within the bone. This booklet is by no means an exhaustive text on the art of scrying, but is an introduction to a particularly nature-centered version thereof. Suitable for beginners and experienced practitioners alike. 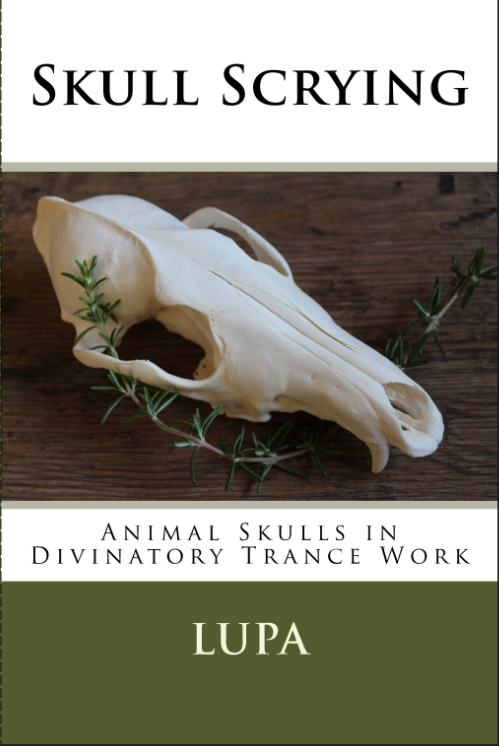 Chapter 1: What is Skull Scrying? Individual paperback and ebook copies of Skull Scrying may be purchased below. Wholesale/consignment inquiries may be directed to lupa.greenwolf(at)gmail.com. An autographed paperback copy of Skull Scrying is available for $6.50 plus priority shipping in the U.S.
An autographed paperback copy of Skull Scrying is available for $6.50 plus first class shipping in the U.S.
A PDF ebook of Skull Scrying is available for $3.00. Please make sure that you can receive mail at the email address attached to your Paypal account, or that you provide me with an alternate email address to send your ebook to.